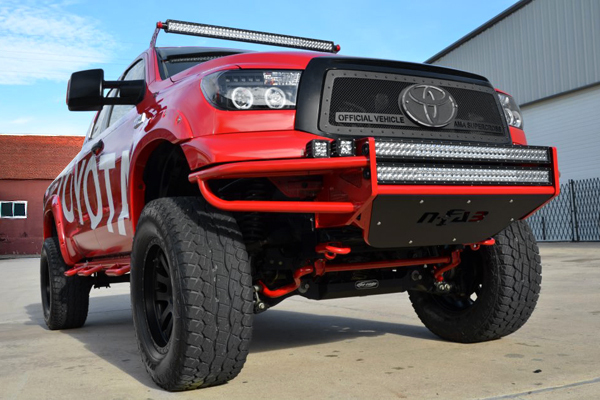 The N-Fab RSP Front Bumper are one of the most popular bumpers on the market. They are extremely unique and will make your rig stand out. Each bumper comes with a 3/16" aluminum skid plate with optional gloss black or textured black finish. This bumper bolts directly to factory bumper mounts for a clean, easy installation. The RSP Bumper is a fully welded one-piece off road bumper so you know its strong and wont crack down the middle. 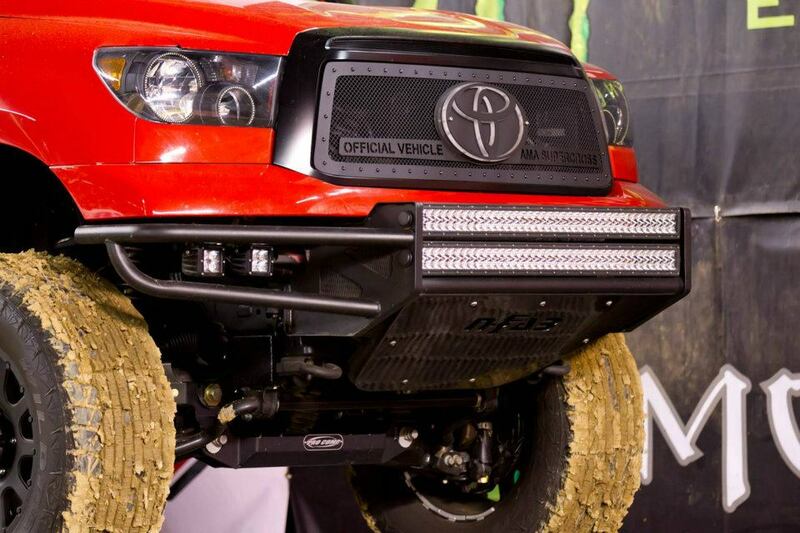 Each bumper allows you to mount fog lamps and rigid industries lights on certain models. The N-Fab Front Bumpers are made in Texas... Made in America baby! Lets talk warranty: You will get a life time warranty on your RSP Bumper & 5 Year Warranty on the finish. We promise you, you will not be disappointed with this bumper. If you have questions contact us at 1-720-895-1744! 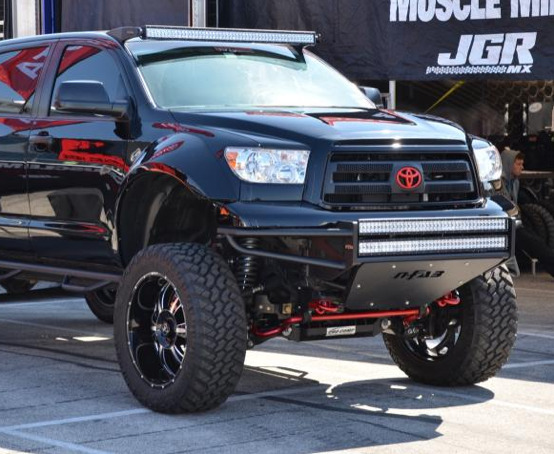 The N-Fab RSP Front Bumper is designed to offer more wheel clearance and an aggressive off-road look. This bumper is available for Ford, Chevy, Dodge, GMC, Toyota and Nissan Trucks. Each bumper is available in either a high gloss or textured black finish. The skid plate is also available in aluminum, high gloss black or textured black finish. 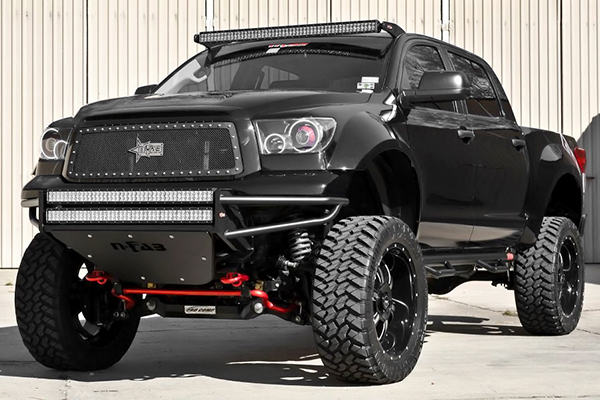 This bumper lets your truck stand apart with the customization. The skid plate has a CNC laser cut N-Fab logo. This bumper mounts directly to the factory mounting points on your truck. To shop for simply browse by your make and model. 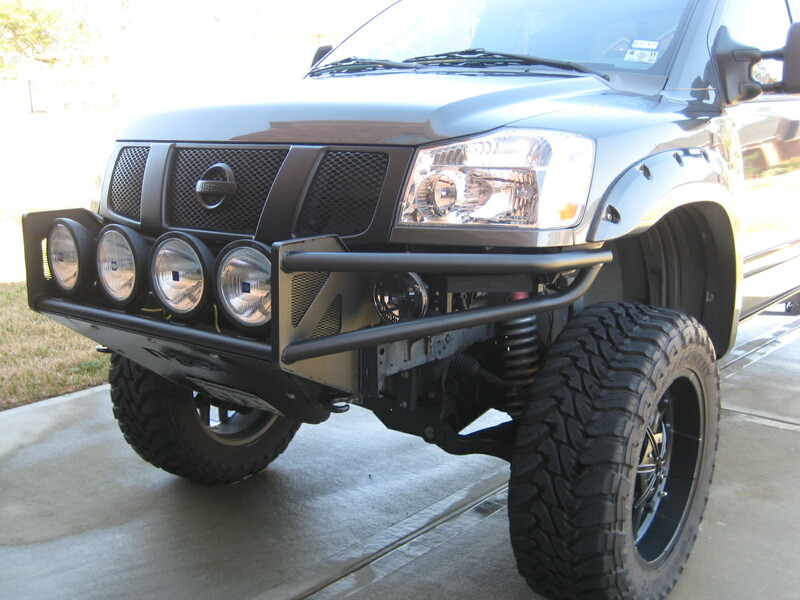 If you have questions about customizing your N-FAB bumpers call us at 1-720-895-1744.